Proms 2016 Panoply – where are the women composers this year? 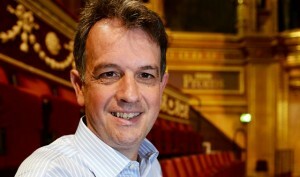 The announcement of the 2016 BBC Proms season brought forth a panoply of comment and observation. Here are a few choice entries, editorials and utterances to get your interest piqued. David Pickard is the new Proms Director and as incoming incumbent he largely inherits what has already been prepared and put into place by outgoing Proms Director, Roger Wright, and perhaps more significantly Interim Proms Director, Edward Blakeman.